Lewis Carroll’s book Alice’s Adventures in Wonderland was first published by Macmillan in November 1865. This year (2015) we (Orchards Shopping Dartford, and myself) would like to invite artists to show as much work as possible using the story of Alice as the subject. If you are an artist/hobbyist and would like to be involved in this fantastic project, please contact me at my website www.stephen-oliver-art.co.uk. My Gallery at the Orchards Centre will be showing ‘Alice’ artwork throughout the year, and the centre will be holding many events in the shopping malls using the spirit of the story as the theme. You don’t need to stick to the original illustrations for inspiration. I would encourage participants to be more abstract in their thinking – you just need to include some element(s) from the story. The artwork will be viewed by children, so the finished piece needs to appeal to a family audience. Sculptors, painters, photographers, printers, illustrators, typographers, crafters and more are welcome to submit work. Group submissions (or professional individuals) must be accompanied by a valid Public Liability Insurance. The Gallery is not responsible for loss or damage to work. If you are selling your work a maximum fee of £15 for each piece, depending on size of artwork, will be charged. Alternatively a 20% fee will be charged on the sale price. No charges if you are not selling your work. Elements from the books Alice’s Adventures in Wonderland or Through the Looking-Glass, and What Alice Found There must be included in the work. New events may well be added to the project throughout the year. So please enter your work ASAP. 01 Mar 2015 The Orchards Centre in Dartford have kindly agreed to show reproductions of selected artwork in the entrance mall of the shopping centre. 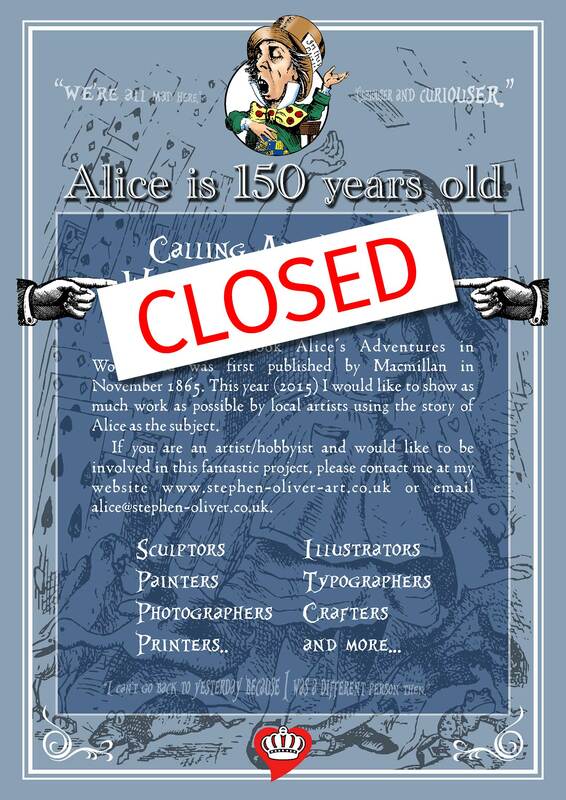 This will give additional exposure to artists taking part in the Alice 150 exhibition at the Gallery. 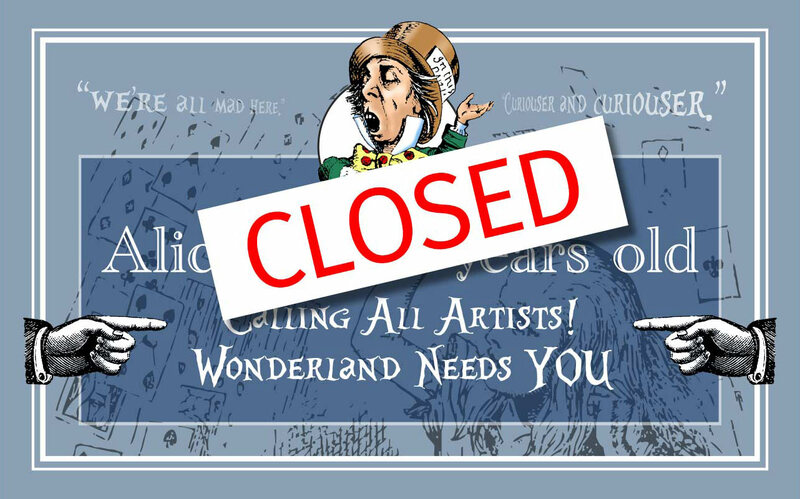 01 Dec 2015 The Alice 150 exhibition has now closed.